Firestorm is Alan Yuen's first big budget blockbuster film, and perhaps an attempt to get in on the over-the-top action craze. And make no mistake this film features a lot of over-the-top action (and bad CG for a 2013 film). 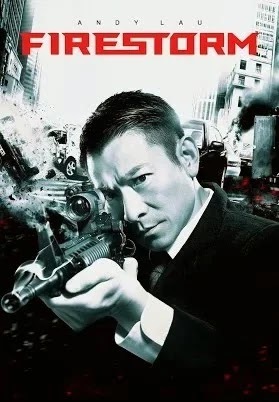 The central story follows Police Inspector Lui (Andy Lau, who was also one of the producers of the film), a good cop, who's forced to turn bad in order to take down a violent, and heavily armed crime lord. Questions of whether there are inside men on both sides start to rise, making things even more chaotic. The catalyst that pushes Inspector Lui over the edge is the subplot involving an ex-con and his autistic daughter, who Lui personally took care of while the father was in jail. The situation is made worse when Lui involves the father as his inside man. What follows is pretty heart breaking, and as dark as it becomes is probably the saddest and most well done portion of the film. 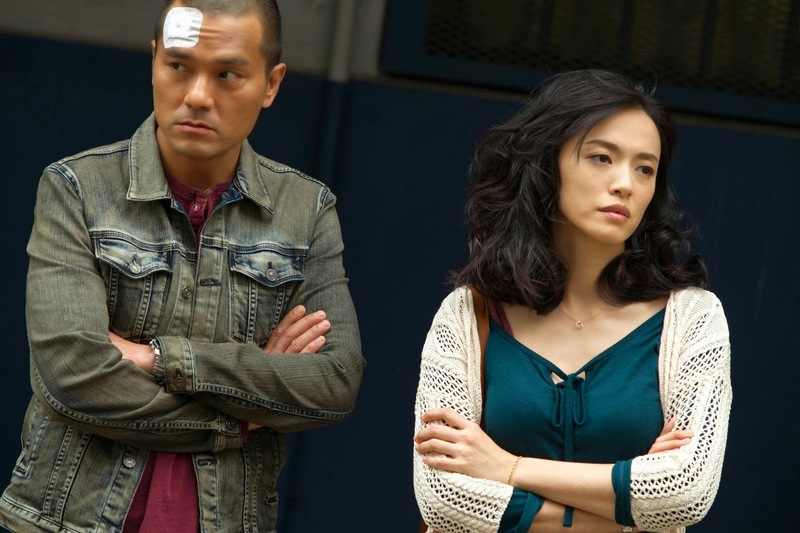 However, what becomes one too many subplots is the one involving another ex-con played by Gordon Lam and his girlfriend (Yao Chen) who just wants him to turn his life around. And of course, Lam's character finds himself caught in the middle of the struggle between the cops and the crime lord. All the extra subplots and secondary characters only serve to distract from what could have been an interesting central storyline. The acting is solid across the board, and the characters are all interesting in their own right, but because the runtime is split up across so many different characters the film just feels unfocused, and no one gets quite enough screen time. Worse yet, the aforementioned over-the-top action gets out of hand a few too many times. Some are even unrealistic enough to be laughable. They also make the cops look incompetent. No police force would engage the suspects in open fire in the middle of a packed downtown street (the villains are armed with an unreasonable amount of military grade weaponry). There had to have been an unreasonable amount of innocent civilians killed during the course of the events in this film. Inspector Lui watches his fellow cops get shot, and die in fiery explosions, while being launched in the air from one explosion after another. Lui suffers through so many explosions, gunshots, and fist fights, he should be dead or at least in the hospital for a few days, but he brushes it all off with ease. To make matters worse the film becomes even less focused when the central bad guy turns out to be just one of several crime lords. It's always a mistake to introduce a new primary villain within the last 20 minutes of a films runtime. 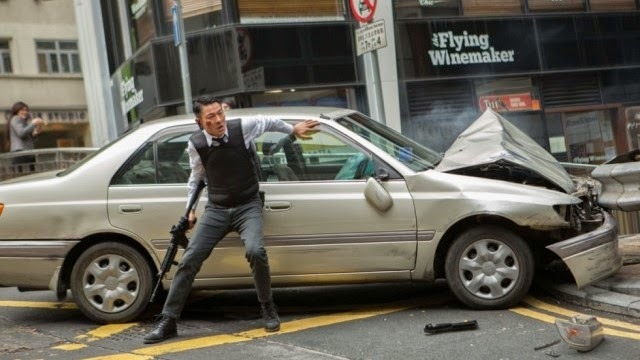 The problem is Hong Kong films tend to try to feature as many recognizable stars as possible to attract as many viewers as possible, but those stars also require a sizable portion of the film to be dedicated to their characters. The result is something like this film. While it does feature quite a few beauty shots of Hong Kong which is always welcome, they can't make up for the fact that the rest of the film is all over the place.